You Should Demand Training and Experience – We Offer You Both! Disasters damage far more than just property and structures. They take a heavy toll on the environment in which they occur. Each unique type of disaster (flood, fire, storm, etc.) carries varying risks of secondary environmental damage such as bacterial growth, viruses, airborne toxins, and other potentially hazardous contaminants. Addressing the many types of environmental issues brought about by disasters takes specialized training, certifications, and extreme care and attention to detail. UNGERMAN has the proper certification, training, and vast experience to assess and solve your problems with the highest quality. We are a one-stop shop that offers our residential and commercial customers a helping hand and the best restoration, reconstruction, and renovation methods we’ve learned from over 40 years in the business. We are prepared to expediently, competently, and expertly conduct a damage assessment, mitigation, and restoration. Lead Abatement and Restoration: We are a US Environmental Protection Agency Certified Firm and can conduct lead-based paint renovation, repair, and repainting services. Asbestos Abatement: Asbestos abatement is a highly regulated service that UNGERMAN can provide, from the testing to the removal to the reconstruction. Trauma and Crime Scene Cleanup: Cleanup of a trauma scene can devastating.  We have a 24-hour crew available to take care of this for you. This team is trained and certified to deal with your situation immediately, discreetly, sensitively, and professionally. Vandalism Cleanup: Vandalism can include break-ins, spray painting, toilet papering, egging, broken glass, and more. We can come out to your home or business and remedy the issue in a timely and cost-effective manner. Tear Gas Cleanup: Tear gas requires a very specialized type of cleaning. Our team has a great deal of experience and knows how to get the job done. A combination of heating, cleaning and source removal is necessary to effectively restore a home or business that has been affected by tear gas. To get specialty services help from experienced professionals, contact us today!